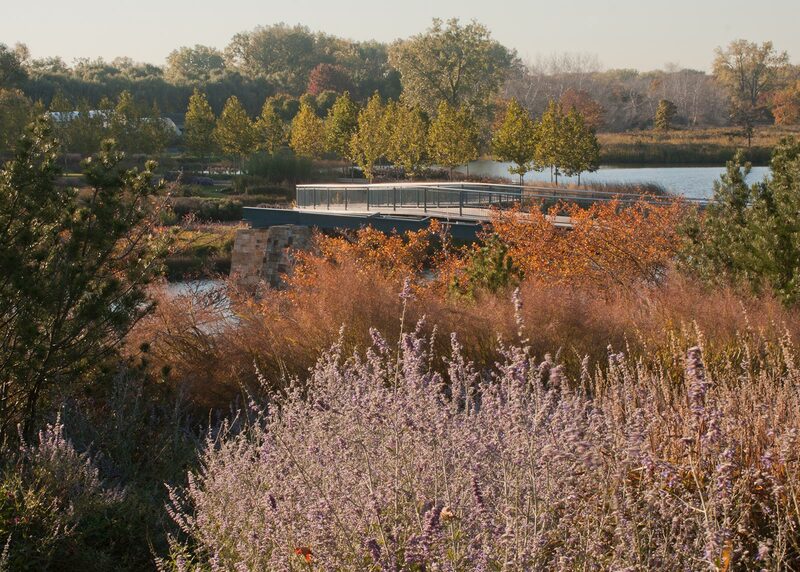 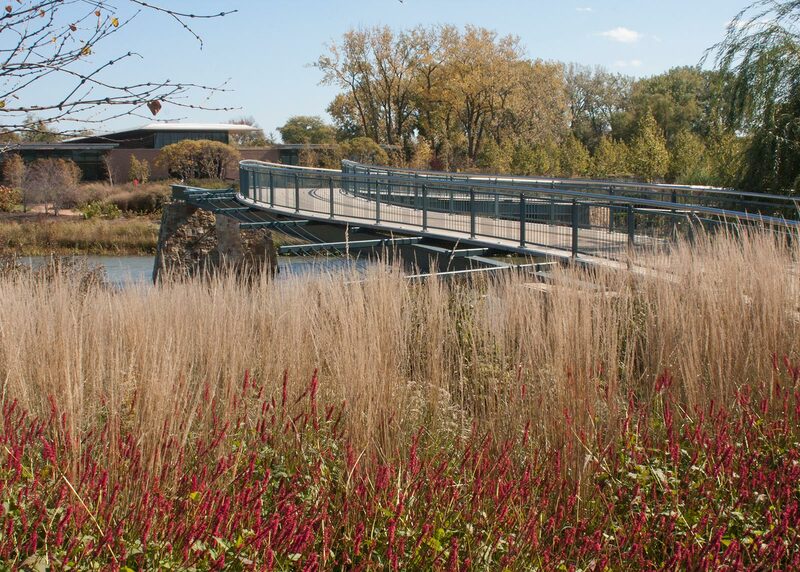 The Trellis Bridge is the third in a series of bridges that OvS designed for Chicago Botanic Garden, and provides a vital connection between islands and gardens. 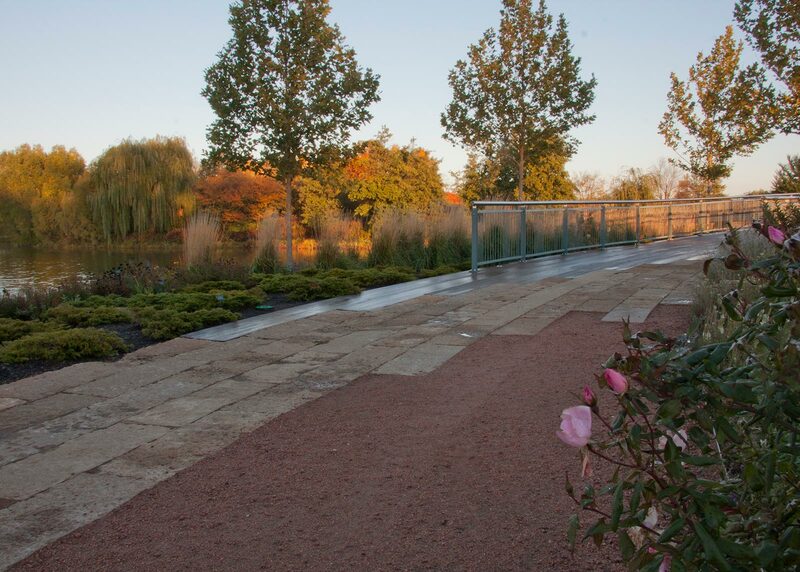 OvS has designed five gardens at CBG, among them Evening Island, Gardens of the Great Basin, and the Plant Science Conservation Center. 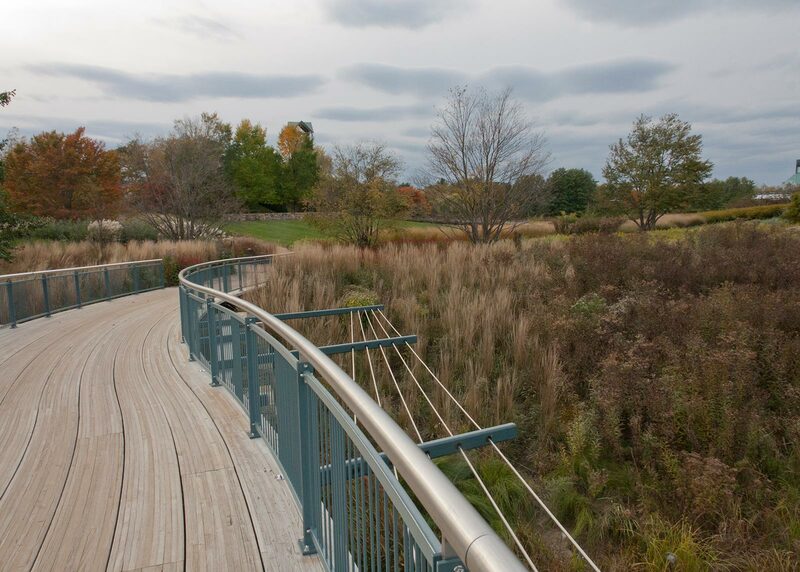 The curvilinear Trellis Bridge, made from laminated western yellow pine and steel beams, draws its name from the stainless steel cables that reach out from the steel beams and stone pylons towards land. 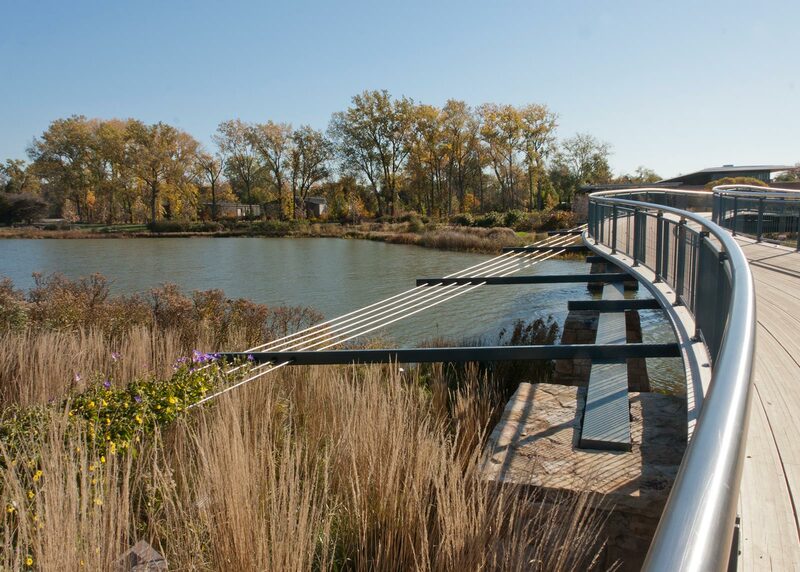 The cables allude to a traditional trellis structure and are entwined with Clematis terniflora, Parthenocissus tricuspidata ‘Green Showers’ and ‘Wisteria frutescens ‘Amethyst Falls’. 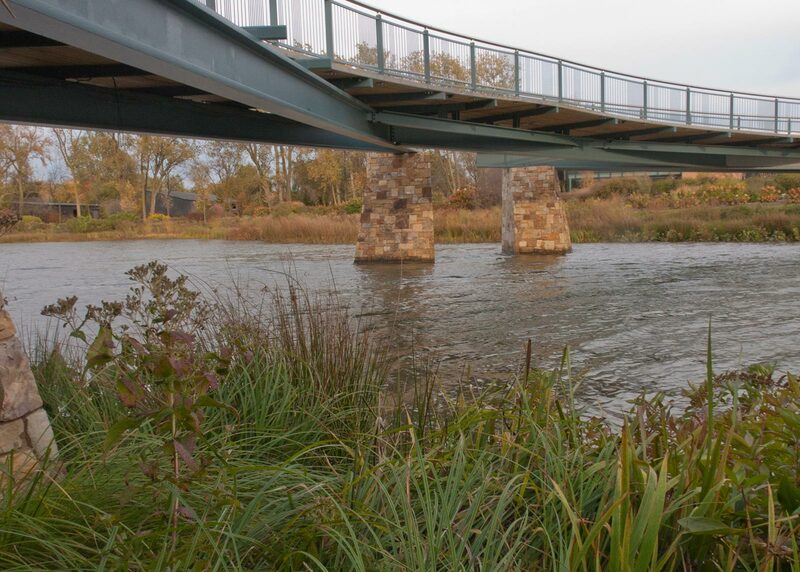 The 300-foot-long bridge was completed in 2012.